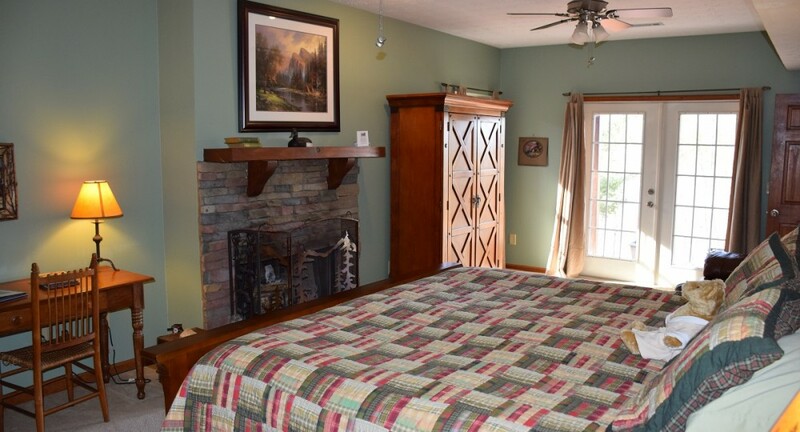 Our largest, this suite is on the terrace level with a private entrance and French doors to your own patio space. 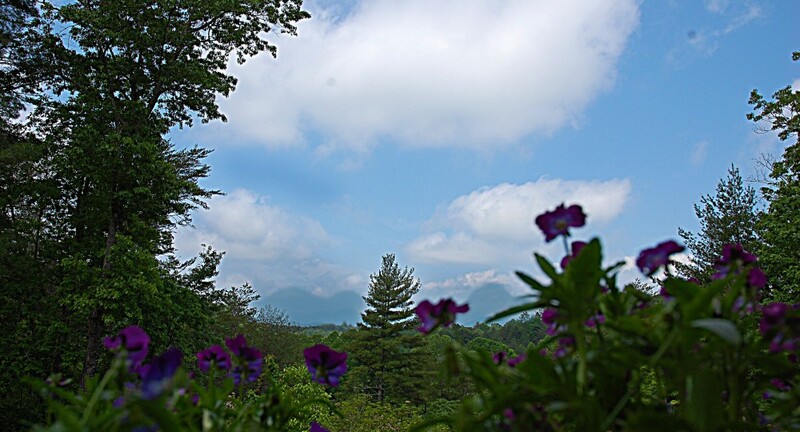 Westward sunset views of the Blue Ridge Mountains and the best view of our spring-fed Big Pond with small waterfall. 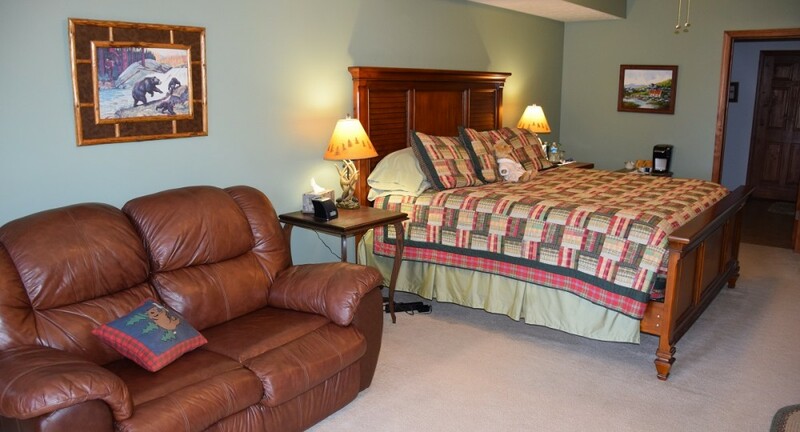 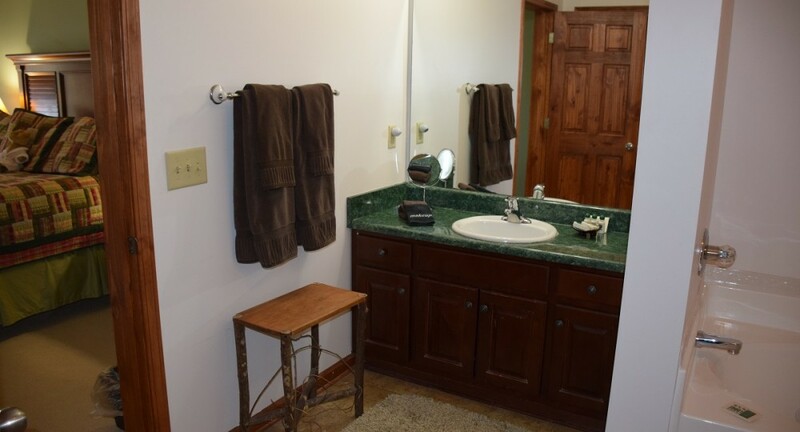 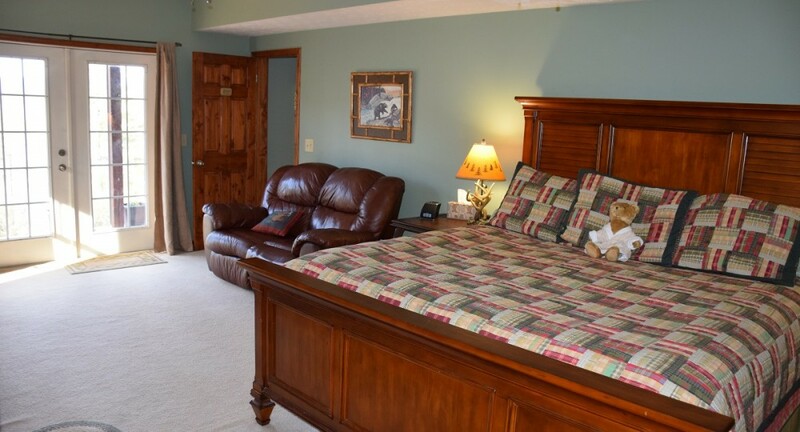 This room features a king-size bed, wood burning fireplace, jetted garden tub and separate shower, writing desk & chair, plush bath robes, WiFi, flat screen TV, Direct TV, DVD/VHS player, leather love seat / dual recliner, radio alarm, mini-fridge, and Keurig coffee maker. 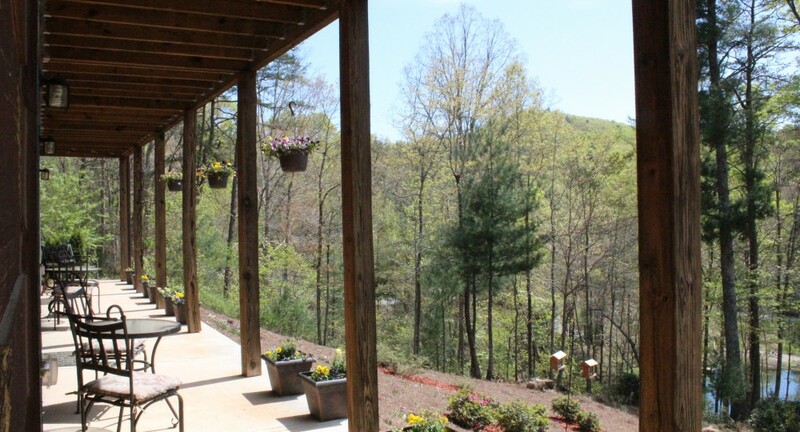 The patio has a table for two. 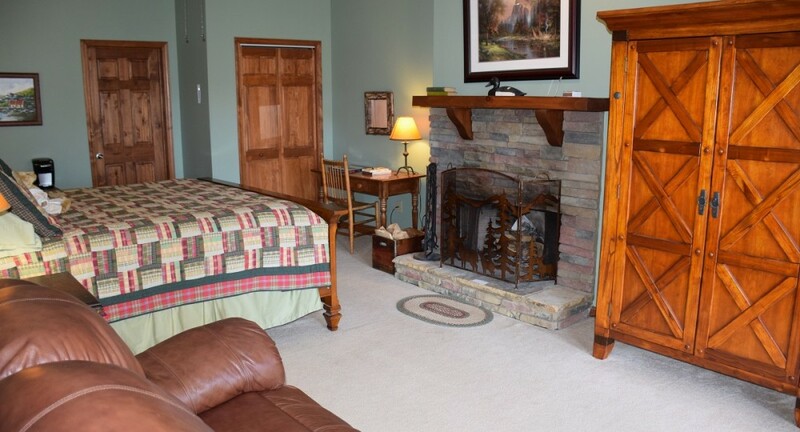 Full breakfast is served in the dining room or screened-in porch (weather permitting).